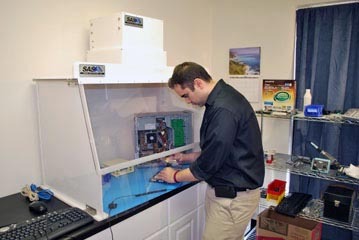 ﻿ Data Recovery - Portable Clean Rooms . 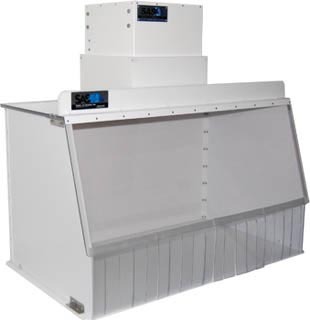 Sentry Air Systems has multiple solutions for portable clean room hoods in data recovery applications. By using these compact and affordable systems, you can ensure that the hard disk drives are protected from harmful particulate and containments found in your airstream. 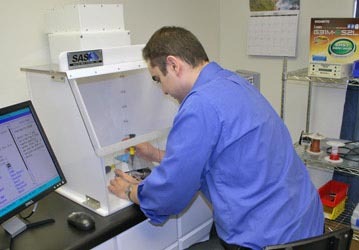 SAS data recovery hoods are portable systems that are much more economical than having to convert an entire room into a clean zone and require virtually no maintenance and minimal upkeep. Our Portable Clean Rooms are highly efficient and exceed ISO Class 5 (Class 100) and provide a sterile and dust-free workspace for various forms of data recovery. These units are available in 12”, 18”, 24”, 30”, 40”, and custom sizes. The powerful fan on top of the hood combined with a variety of HEPA or Ulpa filter options provides an exceptionally purified airflow inside the hood. The HEPA filter is up to 99.97% efficient on particles .3 microns and larger. Cleanroom Standards ISO14644-1:1999E, IEST-RP-CC-012.1 and Federal 209 E.